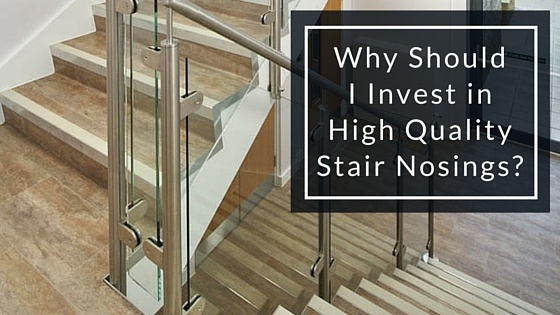 Why Should I Invest in High Quality Stair Nosings? I am often asked why it makes sense to invest in high quality stair nosings when standard rubber nosing can be purchased for such a low price. There are two very real answers to this question: Time and Money! Of course, we all want everything that we buy to last a long time. Unfortunately, a lower priced and lower quality stair nosing realistically will not last very long. The material just isn’t made to withstand the everyday traffic and abuse that occurs with stair nosings. For this reason, I recommend purchasing the highest quality product that you can afford. This doesn’t mean to you have to break the budget by finding the most expensive stair nosing on the market. However, keep in mind that the added expense now will add to the lifespan of the stair nosing and save you in the long run. A higher quality stair nosing will cost significantly more money initially than if you purchased a standard, inexpensive stair nosing. However, make sure to keep the big picture in mind. 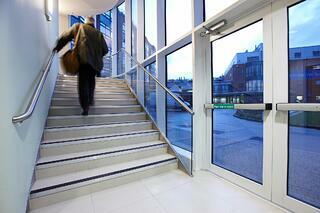 Determine what will it cost you to have these stair nosings installed. Consider that an inexpensive stair nosing purchase now might mean you have to repeat the expenditure again in just a couple of years. Think about how much money you will save in the long run if you only have to replace the stair nosings every 10-15 years, as opposed to every 2-3 years. While an inexpensive product will save you in the short run, in the long run, you will have to purchase new stair nosing on a regular basis, costing much more money overall. 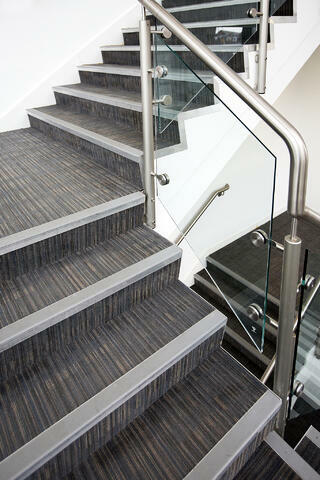 There are quite a few manufacturers out there that can provide you with upscale, high quality stair nosings. We hope that you will consider reviewing our catalog and if any of the Gradus products we distribute fit your next project’s requirements or if you simply have questions, let us know. How do I choose the best stair nosing for my application?